Single Stage Filters are installed as part of your kitchen sink, and usually comes with a drinking water tap. The filter removes dirt, sediment, copper, lead and chlorine. Maintenance requires filter changes that range from $100 to $300 typically. 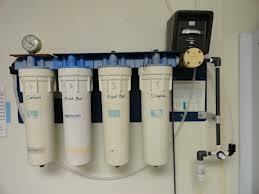 Reverse Osmosis Filters are the ideal home filter system. This system can be mounted on your sink or surface and may have a separate tap. The filter system uses carbon filters and other elements to thoroughly eliminate all the contaminants in the water system. Some name brands include General Electric, Kohler and Culligan. Maintenance requires filter changes and runs typically $500 and up. Contact Accurate Leak Locators to handle any plumbing issues and for consultation for these types of filters.